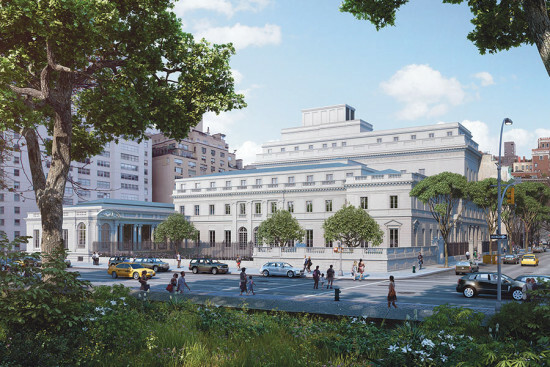 The American Museum of Natural History (AMNH) has unveiled the Richard Gilder Center for Science, Education, and Innovation, a six story, 218,000 square foot, $325 million expansion, at Columbus Avenue and 79th Street, designed by Jeanne Gang. The principal of New York– and Chicago-based Studio Gang stated that the exuberant organic forms recall “geological canyons, glacial forms," spaces shaped in increments by the forces of nature. Here, form follows function: the aim of the Gilder Center is to build scientific literacy in young people and encourage study in the STEM fields. In addition to creating learning spaces, the structure reconciles the museum's rambling circulation, creating 30 connections to ten AMNH buildings. 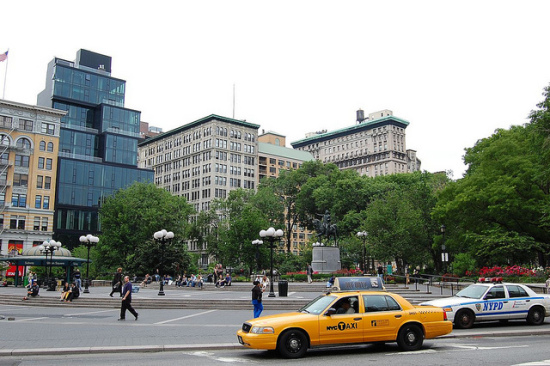 Its mass dialogues with the existing buildings, maintaing the same height as its neighbors. Inside, cavities in the concrete walls create exhibition galleries, a library, insect hall, classrooms, theaters, and laboratories. The reinforced concrete walls in the Central Exhibition Hall comprise the building's load-bearing apparatus. Exhibition designs are by Ralph Appelbaum Associates (New York). The expansion will be complete by late 2019 or early 2020, although the design has yet to undergo the public approval process. Neighbors have raised concerns about the museum's encroachment onto adjacent Theodore Roosevelt Park. 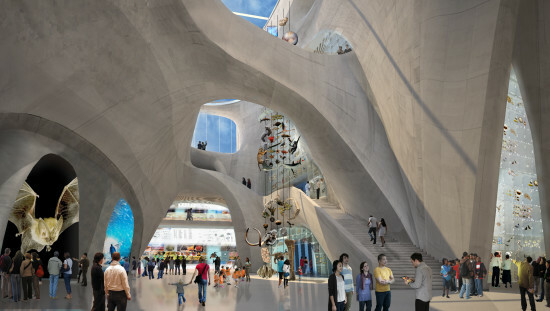 AMNH will present its plans to community groups and the Landmarks Preservation Commission. See the gallery below for additional images of the project. 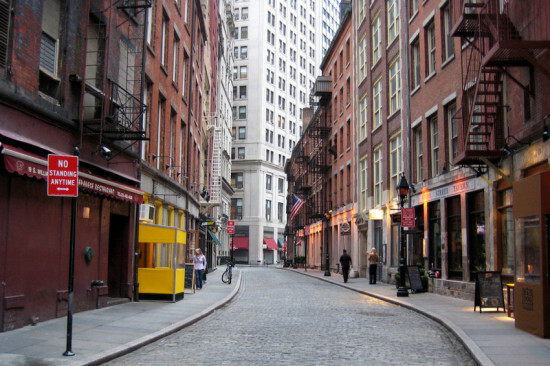 Getting the blessing of the New York City Landmarks Preservation Commission can be a tricky thing. Typically, your best bet is to go contextual: stick with historic materials and keep the modern ornamentation to a minimum. 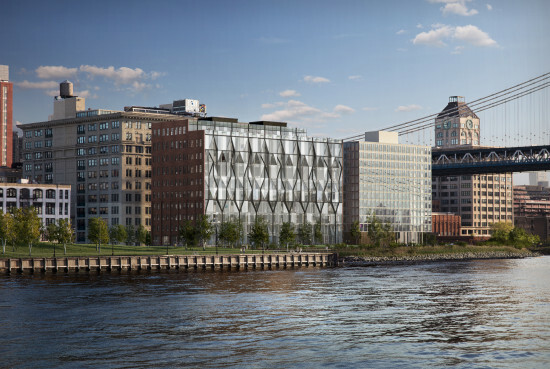 That is clearly not the approach that SYSTEMarchitects' Jeremy Edmiston took for a parametrically designed Tribeca townhouse in search of facelift. The existing two-story structure 187 Franklin is not historically significant, but since it sits within a historic district, Edmiston didn't have carte blanche for the owners requested two story addition and setback penthouse. 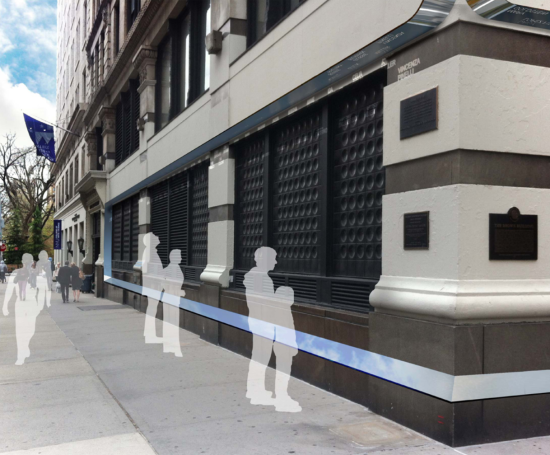 While the architect nods to Tribeca’s history with a primarily brick facade, he doesn’t try to replicate the building’s neighbors. At all. Instead, he assembles a new facade in such a way that it makes the new townhouse appear as if it is entirely engulfed in flames. Home-y? Maybe not. Interesting? Undeniably. 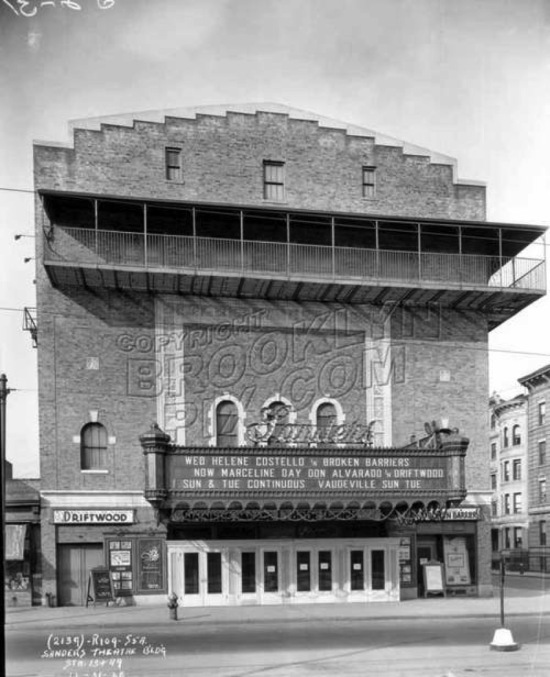 Landmark Preservation Commission approved? Unanimously. 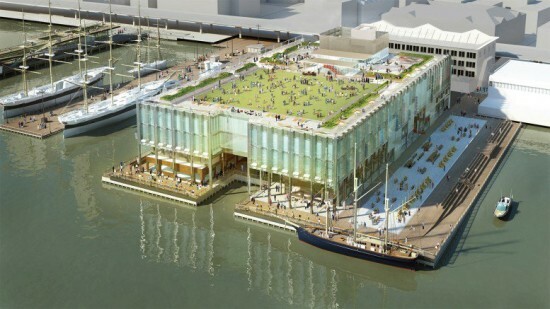 That approval came back in 2011 and now the Tribeca Citizen is reporting that the project "is back." Edminston told AN that construction is already underway and that the project is slated to be completed in December. 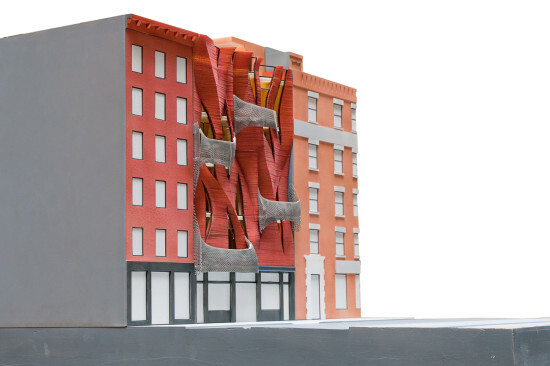 The structure’s parametric facade frees bricks from their expected pattern and weaves them into what appear as dancing flames. Between these “flames” are angled windows intended to bring in light while preserving privacy for the family of four. Each floor also gets a steel, mesh-like balcony. 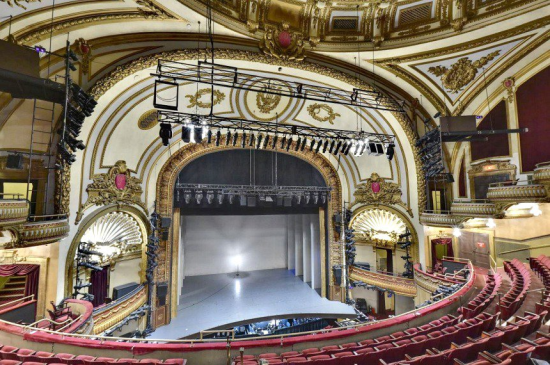 As AN wrote earlier this week, the New York City Landmarks Preservation Commission (LPC) was prepared to "de-calendar" about 100 historic buildings and sites at a meeting next Tuesday. The Commission's planned action expectedly drew a loud and spirited backlash from preservation groups. Now, just a few days before the action was scheduled, it appears the response has had the desired effect. The New York Times is reporting that the Commission has withdrawn its proposal. "In withdrawing the proposal, [LPC Chair Meenakshi Srinivasan] said she wanted to provide more time for people to speak up for certain properties while making clear all would be dealt with sooner rather than later," explained the Times.